If you're going to cover up your Galaxy S8 in a case, you might as well choose one that includes some extra functionality. 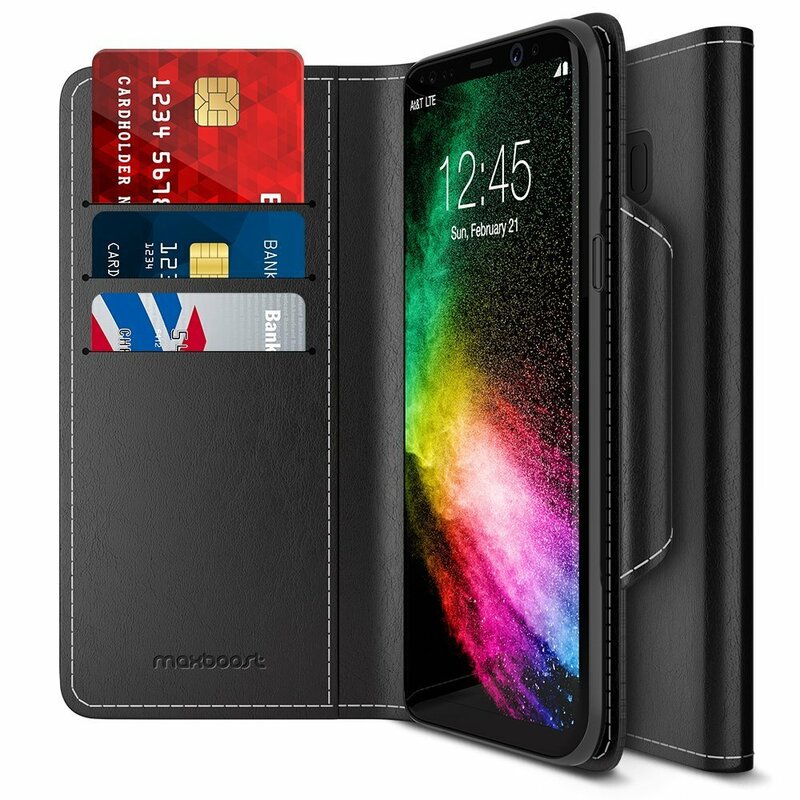 Wallet cases fit the bill, offering quality protection for your precious new phone while also letting you carry around a few cards and maybe even some cash. 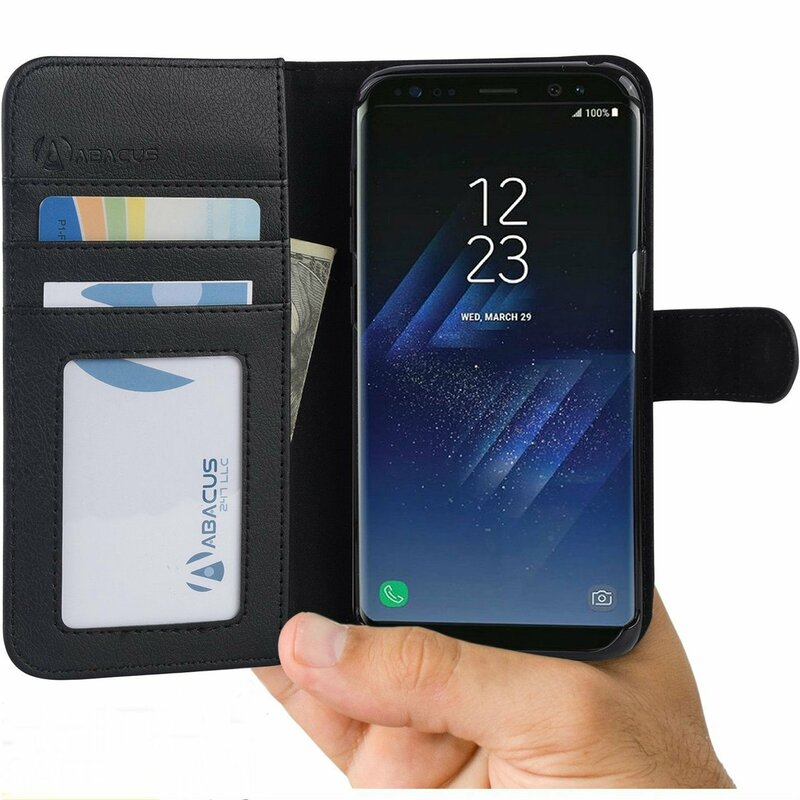 Ditch your wallet and keep your phone, ID, and payment cards all in one place with a quality wallet case for the Galaxy S8. The Spigen Wallet S case is perennially one of the best wallet cases you can get for your phone. This folio case provides full protection for your phone when closed with three card slots on the inside and a pocket for storing some cash. Your phone is held in place by an embedded TPU casing that offers protection around the corners (always important), and the front cover can be folded over to create a kickstand. Maxboost offers a wallet case that will keep your Galaxy S8 safe and secure while also letting you keep your traditional wallet at home. The wallet is held shut with a magnetic clasp and features slots for three cards on the inside cover along with a pocket for storing some cash. 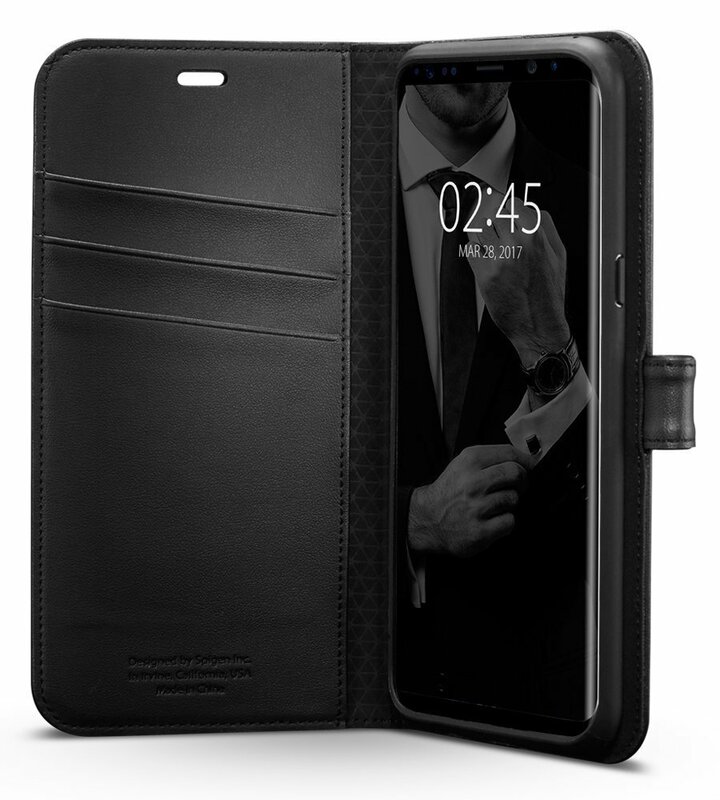 Made of PU for a leather-like feel, this case has been precisely designed for the Galaxy S8's ports and functions and can also be used as a kickstand for hands-free viewing. For a cheaper folio wallet case option, consider Abacus24-7. Its case offers two card slots, which provides RFID protection and include a clear window that's perfect for your ID. There's also a hidden pocket for storing cash. Your phone is held in place by a sturdy polycarbonate case, while the synthetic leather on the front and back protect your phone from scratches, dirt, and damage; the cover also folds over to create a kickstand. Looking for a genuine leather wallet case for your phone without paying an arm and a leg? 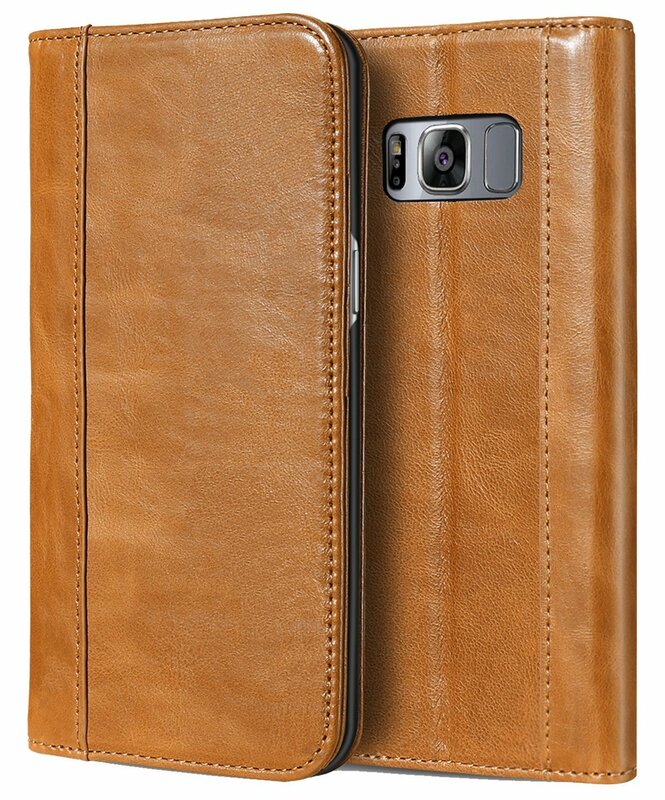 Get the ProCase wallet case for your Galaxy S8. It's made of premium, vintage leather that looks, feels, and smells of the highest quality. It's got all the features you'd expect from a folio wallet case: three card slots and a cash pocket on the inside, a magnetic lock to keep things secure, and the ability to fold over the front cover into a kickstand. 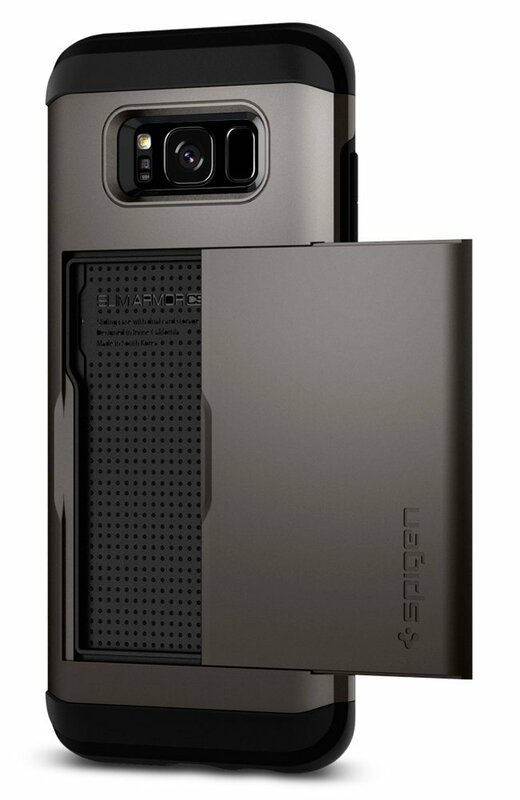 The Spigen Slim Armor Wallet case looks like a standard case to the average person, but it features a slide-out panel on the back with room to store two cards — your ID and a debit or credit card. On top of its card-carrying function, this is a really rugged case, constructed with a shock-absorbing TPU inner sleeve and the polycarbonate shell that includes the secret card panel. Available in five colors. This is another wallet case that doesn't look like a wallet case at first glance. It features a slot on the back that's capable of carrying cards, cash, or some combination of the two. Unlike other cases on this list, the slot just remains open on the side, so you might find that your card slips out a bit easily if you only keep one card in there. Trianium recommends keeping three cards in there for the most secure fit. The Galaxy S8 is two years old which is kind of crazy because it's still a great phone to use in 2019. Whether you've owned yours since day one or recently picked it up used or for cheap, a wallet case is a great option because it offers great protection while also letting you cut down your pocket carry. My top recommendation is the Spigen Wallet S Case which is a great option from a reliable brand. I really love the folio style of case because it does a great job protecting your phone's display even when it's in your pocket. If you don't like that folio wallet style, you still have wallet options and I would recommend the Trianium Walletium Case because it's under $10 and lets you hide your card in plain sight.